Retails for $5.49US, I got these for $7.49CAN at Zerhs. The 3D particles look to be clear or translucent in this formula. The base colour is VERY watery however, which does allow it to dry faster but the sheerness is rather irksome. It takes 3 coats you get more texture and opaque coverage. 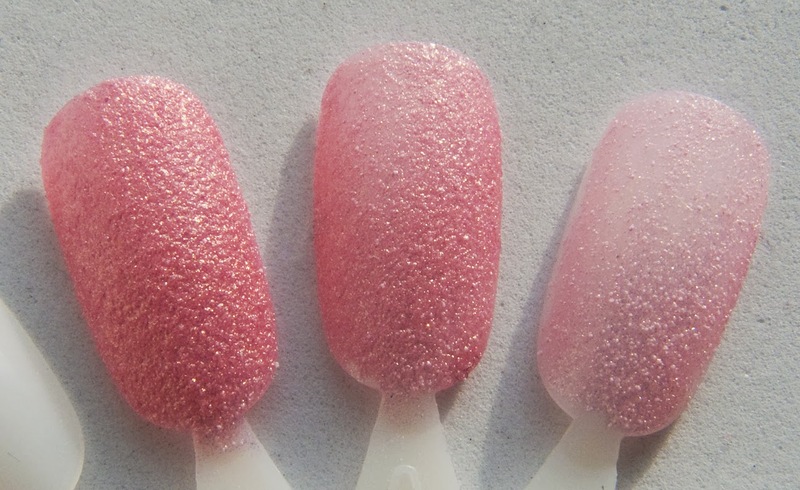 Sugar Plum is a warm candy pink with gold shimmer. Wear: About 5 days on my fingers on it's own without a base or top coat. With a base coat it didn't chip for me unless I jammed my finger on something. Packaging: Simple glass small bottle with a standard brush. The label is texture as well with raised micro domes and rainbow silver shimmer. 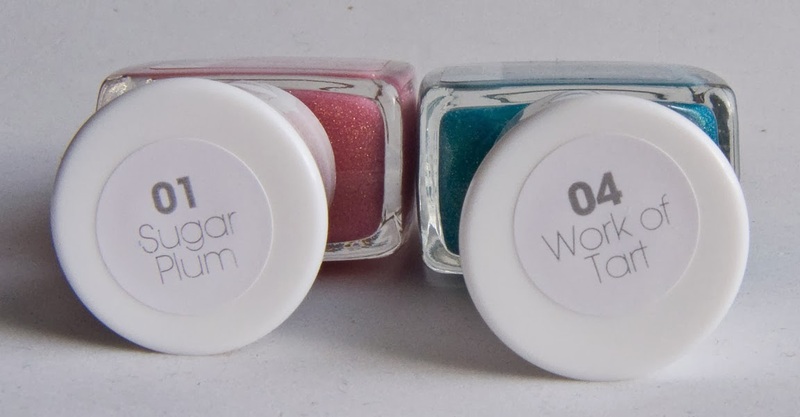 These are trying to mimic the shimmer Sand Texture from OPI but it kind of fails on the depth of shimmer you get in these Sugar Shimmer finishes. 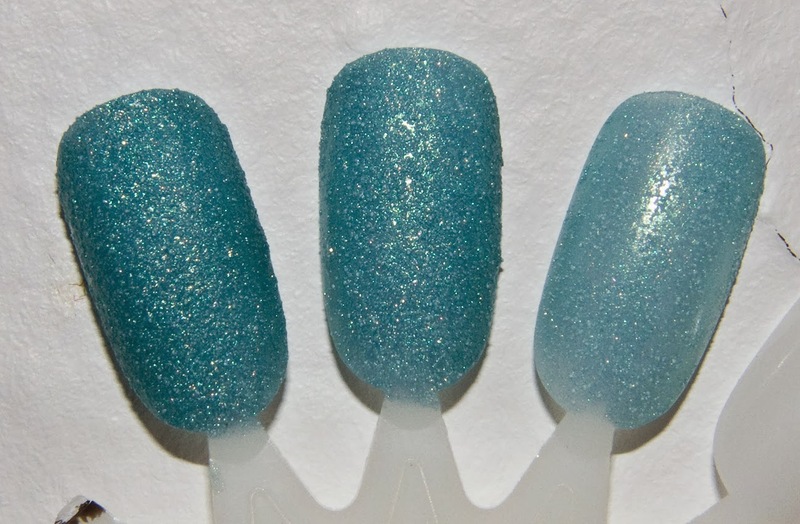 I think it comes down to the fact that the shimmer is the Texture in the OPI version rather then the clear beads you see in the Sally Hansen one. 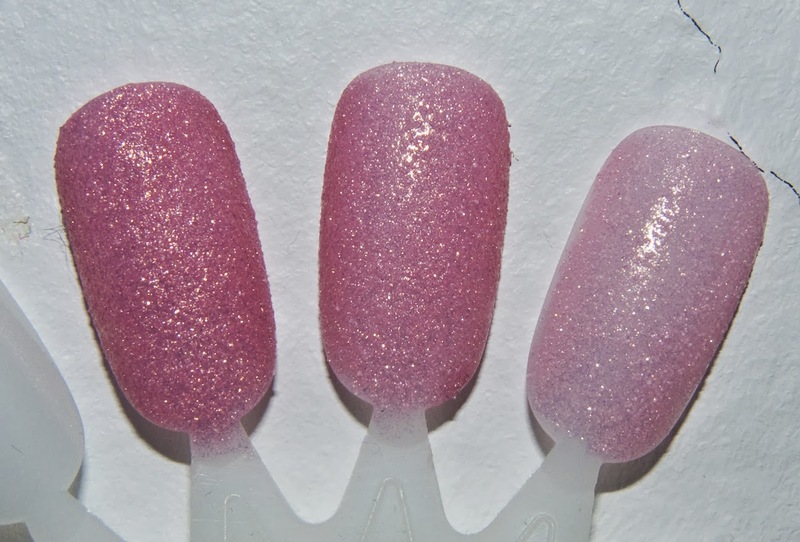 Daylight swatches: Sugar Plum 3 coats, 2 coats and 1 coat. 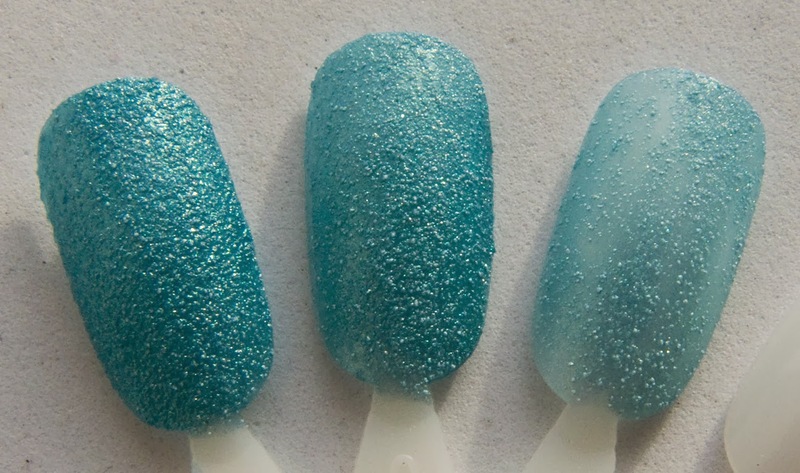 Daylight swatches: Work of Tart 3 coats, 2 coats and 1 coat. I like the shade Sugar Plum but the formula is very troublesome to work with so please buy with that in mind.